Germany and Austria are countries that are not traditionally known for their red wine production. Riesling rules the roost in Germany while Austria's best known export is the increasingly fashionable Grüner Veltliner (though they also make some dynamite Rieslings). 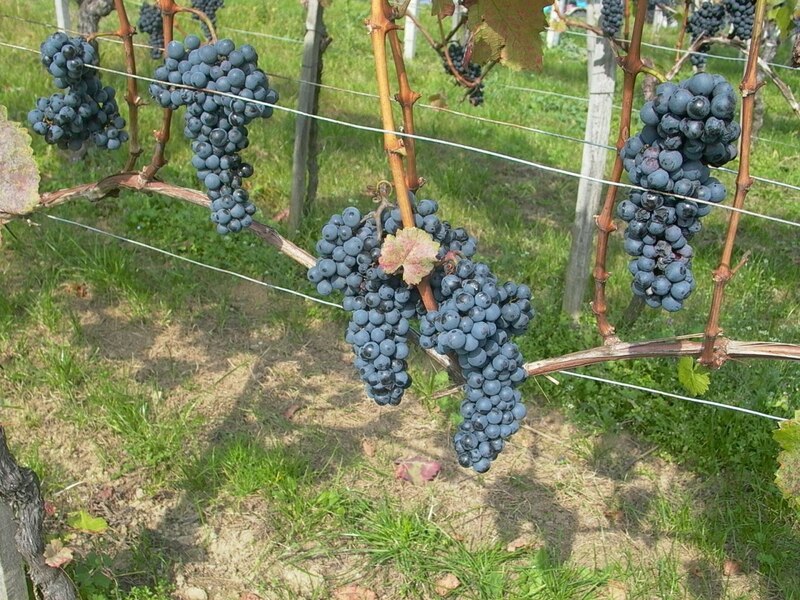 Both nations are home to a number of unusual red varieties, though, and Blaufränkisch/Lemberger is one of them. The grape is known as Blaufränkisch in Austria due to an old medieval tradition where grapes were divided between the "Frankish," or higher quality grapes thought to have been introduced by Charlemagne, and the "Hunnic," or simpler, more ordinary grape varietals. Blaufränkisch translates as "blue Frankish" (a quick look at the picture above shows you why). It is known as Lemberger (or sometimes Limberger) in Germany as a result of its having been imported to Germany in the 19th century from Lemberg in present day Slovenia. The grape also goes by a host of other names in other countries: Kekfrankos in Hungary which is just a translation of Blaufränkisch into Hungarian, Burgund Mare in Romania and Gamé in Bulgaria due to an old mistaken belief that it was identical to the Gamay grape grown in Burgundy. Recent genetic testing has shown that it is not even related to Gamay but is rather the offspring of Gouais Blanc and an unknown Frankish grape. The grape is much more important in Austria than it is in Germany. In Austria, it is the second most planted red grape behind Zweigelt, which is itself an offspring from crossing Blaufränkisch and St. Laurent. It accounts for about 5% of the total vineyard area in Austria, which just goes to show you how much more important white wine is than red in Austria. Grüner Veltliner, by comparison, covers about 33% of the total vineyard area. The vine is vigorous and capable of yields as high as 100 hl/ha though they are usually pruned to produce about 75 hl/ha or less. Blaufränkisch is not particularly disease prone, though it does bud early in the spring and ripen late, so colder climates are not ideal for it, which is interesting, because one of the bottles I tried was from Newport Vineyards in Rhode Island. Newport's website boasts that the grape is "well-suited to our maritime climate." The Newport Blaufränkisch was from the 2009 vintage and cost $20 at the winery. In the glass, the wine was a pale garnet color with a violet rim and not a lot of saturation. The nose was all strawberry and raspberry jam. On the palate, the wine was medium bodied with medium plus acidity and very low tannins. The flavors were raspberries and wet leaves with a touch of spice and tart cherry. 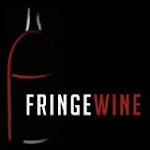 I had tasted this wine twice at the winery and both times found it a bit fuller and more assertive than it was at home which I'm willing to chalk up to an off bottle (it happens...I've bought other wines from Newport and not had any complaints). Blaufränkisch has always reminded me a bit of a spicier Pinot Noir, and this bottling wasn't an exception. The lighter coloration and softer style of this wine is almost certainly due to the colder New England climate. 2010 was an amazing, warm, dry vintage in New England, and I will eagerly try this wine again when that vintage is released. 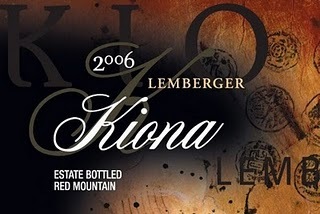 The second wine I tried was a 2 006 Lemberger from Kiona Vineyards from the Red Mountain AVA in Washington State which I picked up for $13.50. Red Mountain is the smallest AVA in Washington and is located very close to the middle of the Washington/Oregon border. It is very hot and very dry there with plenty of sunshine and nice cool night temperatures that keep the acidity levels in check. Climatically, it's about as far from southern New England as you can get. In the glass, this wine had a dark violet core with medium saturation to a light purple rim. The nose was spicy redcurrant with some bell pepper notes. On the palate the wine was medium bodied with high acidity and virtually no tannin. I'm not sure, but I'd guess that Blaufränkisch has pretty thin skins because most examples I see are only moderately colored and have very little tannin to them. There were flavors of redcurrants and raspberries with lovely spice and black pepper notes. This wine was much racier and more energetic than the Newport bottling. Wikipedia tells me that Blaufränkisch is known as the Pinot Noir of the east which is not surprising to me. I've not had a version from Austria or Germany, but all of the American versions I've had have reminded a lot of Pinot Noir with a spicy, peppery kick. If you're a Pinotphile or someone just looking for a nice, versatile medium bodied wine with lots of spicy red fruit to it, Blaufränkisch is a solid choice that won't let you down.